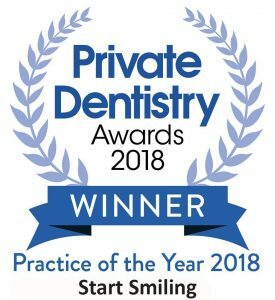 Start Smiling Dental Practice, award-winning dentistry on your doorstep. Offering you a choice of advanced treatments by familiar faces, along with general dental treatments for you and your family. Always wanted that perfect smile? Why not take that first step today? Introducing your *Pain Free Dental team at Start Smiling Dental Practice in Essex. I live in Hockley with my husband Keith who is a self-employed builder. We have four ‘grown-up’ children, with only one still living at home. I am passionate about animals and have four cats, Tabitha, Jessica, Ruby and Pearl and a tortoise called Gregory. Keith and I own an apartment in Turkey and we try to visit two to three times a year. We love travelling and some of the countries we have visited include India, China and America, amongst many others. As I am not too keen on cooking I like to eat out as often as possible!! I enjoy spending time with my friends and of course my husband!! I qualified as a dental nurse way back in 1983.1 have seen many changes in dentistry since then and am always surprised at the huge developments that have been made over the years. I am now Practice Manager at Start-Smiling and occasionally cover with the hygienist. I have worked at Start-Smiling for almost three years. In my spare time I enjoy spending quality time with my family and friends. Having a three year old means I have a very busy family life. We often go on visits to the zoo, farms and woodlands. I also love reading and have a passion for travelling. I qualified as a dental hygienist, with a Distinction, from the University of Essex in 2012.1 am very passionate about my job and take great pride in the treatment I provide for every patient I see. I live locally with my husband Jamie and our two dogs, a cat, three chickens and two budgerigars who I am trying to teach to speak. I have a daughter studying at Oxford and Jamie has two sons and a beautiful baby granddaughter. I enjoy travelling and love the enrichment that comes from experiencing other cultures. When I am not working, Jamie and I make a hobby from eating out, trying new restaurants and I like to replicate recipes at home. I read a lot and like to read about many different topics. I am one of the hygienists at Start-Smiling. I qualified in 1984 form Guys Dental School. I live with my partner and our two children. I enjoy spending time with my family, either relaxing at home, going out to eat or holidaying in Paleokastritsa, our favourite town in Corfu. I also enjoy reading, listening to music and going to West End shows. I have worked at Start- Smiling for five years but have been working as a dental nurse for around twenty two years. I have recently been made Head Nurse. I enjoy dental nursing, especially when we complete a smile makeover and see how much confidence it gives to patients. I currently live in Great Notley, although I am planning to move with my partner Mitch in the late part of 2019. Mitch and I met at school. In my spare time I enjoy seeing family, friends, going to exercise classes and eating out at different restaurants. I have a young Jack Russell called Louis, who needs lots of walks! I have been a Clinical Assistant since 2013, and qualified in 2015. I really enjoy my role at Start-Smiling, working in the team, and feel I have a good rapport with all the patients. I live in Chelmsford with my partner of 24 years. I have two daughters and four grandsons whom I frequently care for over the school holidays and weekends. In my spare time I am a volunteer for Farleigh Hospice, working in the Writtle charity shop. I have been keeping bees for the last 5 years and have recently won a couple of trophies for entries into the Essex Honey Show. I also gained second place in the National Honey Show for cut comb. The bees do all the work really. I just package it! I am often found selling honey at the Farmer’s Markets and local craft fairs. My other interest are gardening, baking and walking. I left school in 1972 to start work in a dental practice. I have worked in dentistry off and on since then. I have worked at Start-Smiling for 18 years and have seen many changes.